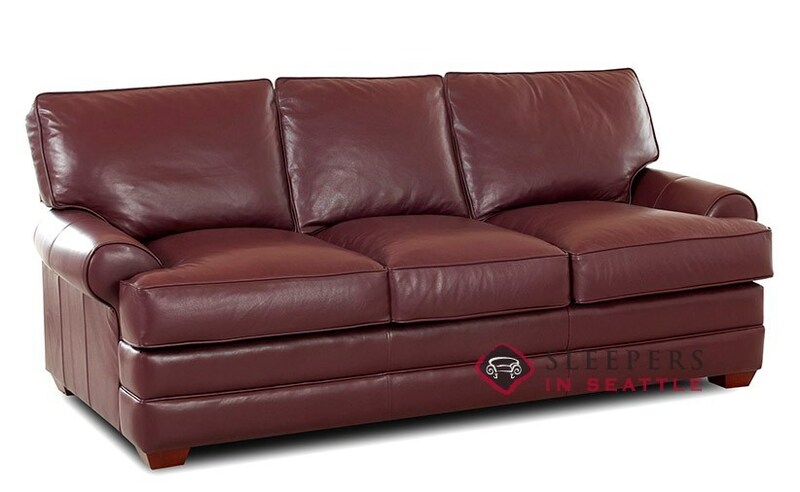 The Montreal Queen Leather Sleeper is a traditional style with modern amenities. Symmetrical rolled arms, boxed seat cushions, and a three-over-three configuration provide maximum comfort. The Montreal is now on-sale is any Classic Leather available! Down-blend cushions are available as an upgrade for this product in our custom Design Center. Down-blend cushions combine waterfowl and down feathers to provide a superior, plush seat. I would have rather had 100% leather coverage so I could turn the cushions over (the cushions are fabric on part of the backs that do not show). My Cadilac has fabric on the side of the leather bucket seats against the console so this concept does not necessarily mean poor quility but I wish the description had stated this.. The sofa is very stylish and looks great otherwise. I love the classic style and distinguished look of this piece. I thought I was going to have to sacrifice that to find a sofa bed that didn't cost a ton of money. Glad I found you guys. Very plump seat cushions, but they have a nice, comfy give to them. The leather is high quality too. Love the way it matches my decor. 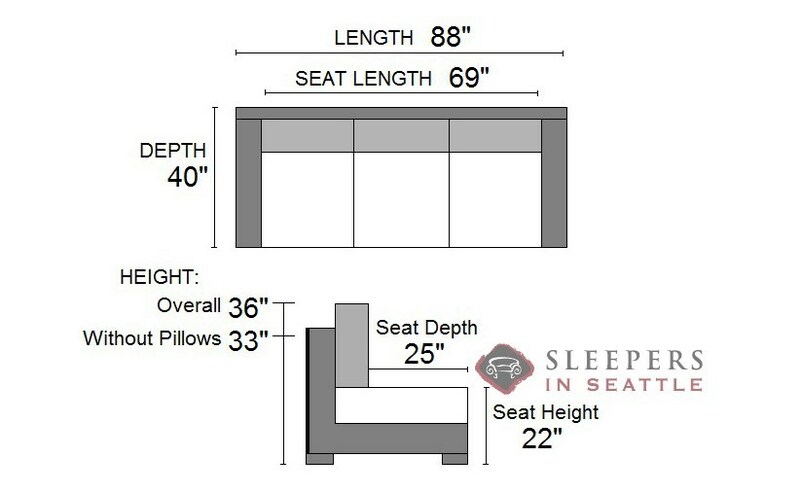 How thick is the spring coil mattress that comes with the sleeper sofa? Will it fold in with a 3" mattress topper? 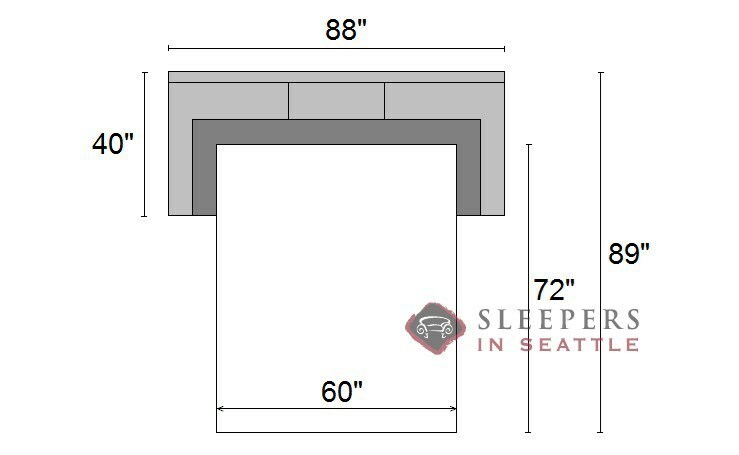 The standard Dreamsleeper mattress is about 6" thick. While you can certainly use the topper while unfolded, we don't recommend closing it inside. We recommend Hesterfield Olive, a 100% top-grain leather offered for this piece. How much does the sofa weigh and how much weight can it hold closed and open? 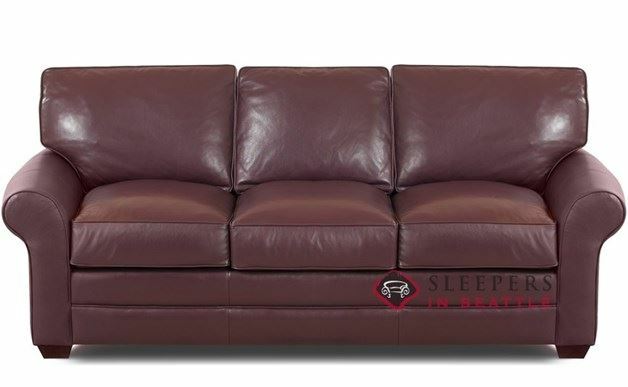 The Montreal Leather Queen Sleeper weighs about 190 lbs., and has limits of 750 lbs. sitting, and 550 lbs. sleeping.